The eeColor Color3 device is designed to enhance the colors in televisions that use HDMI input. The device is supposed to work well in all types of viewing environments, with various lighting situations. But what really got me interested in this device is the chip in the center, which is an Altera Cyclone 4, 30K logic element FPGA (EP4CE30F23C6N). 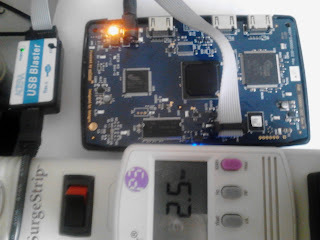 I initially found the device in a post on reddit asking if the header on the board was a JTAG or USB header. The author posted high resolution images and a video of the case being opened. Most of the comments seemed to agree that it was a JTAG header. The author also noted that these devices were being given out for free (with rebate) by Newegg. So I looked around to see if I could get my hands on one for a reasonable price and found the devices being sold on Amazon (search "eecolor") for about $5 to $15! A development board with one of these FPGAs typically retails for over $100. While 30K logic elements is not huge, it is definitely a good starting place for people want to begin developing on FPGAs. The STM32F3DISCOVERY is a small circuit board with a great microcontroller. The ARM Cortex-M4 chip has 256 KB of flash memory, 48 KB of RAM, USB and more. The board has huge amounts of header pins connected to the microcontroller and has a gyroscope, accelerometer and compass on board. For the 11 USD that this board costs, you definitely get a lot of functionality. 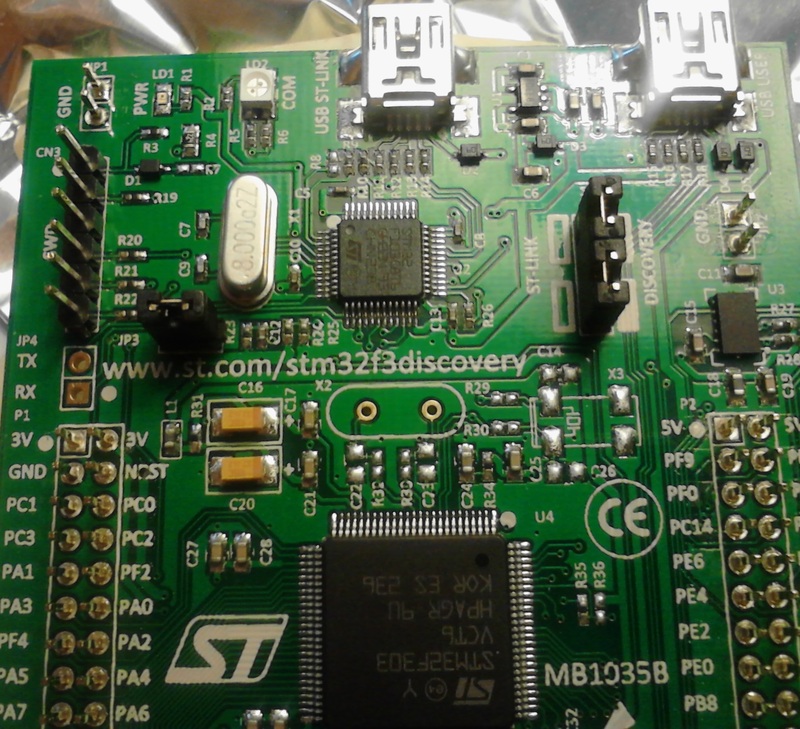 The board also has 2 USB ports, one which is connected directly to the microcontroller, and the other connected to the smaller microcontroller pictured above (STM32F1) and is used for programming and debugging the device. 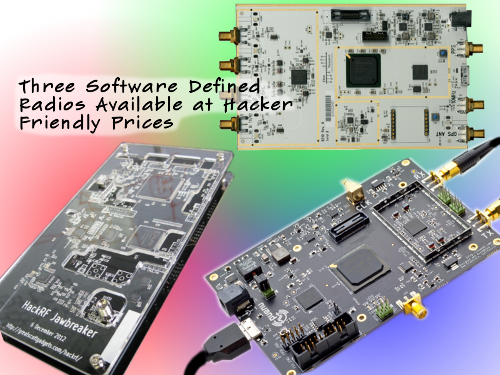 STMicroelectronics calls the programming solution ST-Link/V2. When used with the proper software, it works quite well. However Linux support was initially lacking, but texane and OpenOCD were able to create working drivers. My goal was to dump the firmware.